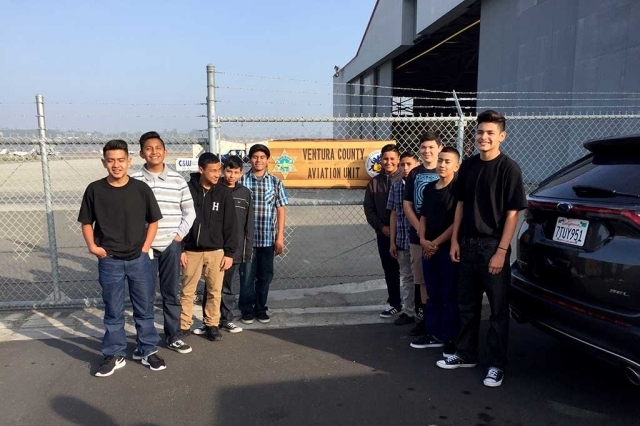 Fillmore High School has it’s first ever Robotics Team. 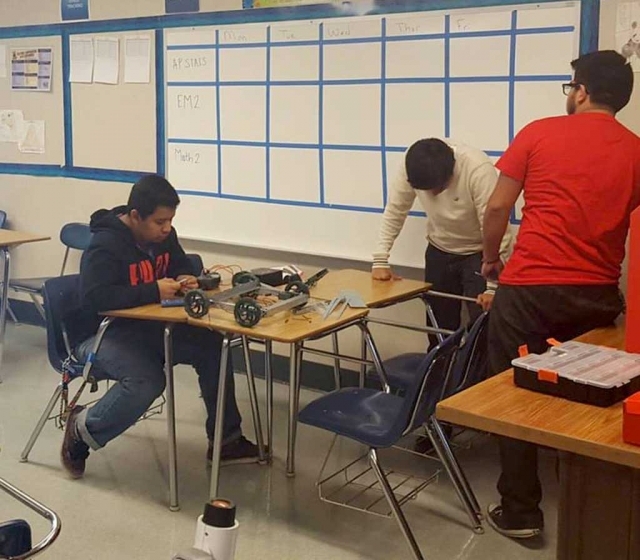 They have made a commitment to teaching the students coding and robotics in select Math 1 and 2 classes and an advanced Computer Coding class. With two 3D printers, they have provided students with real life application to the skills they will need to compete in STEM careers. 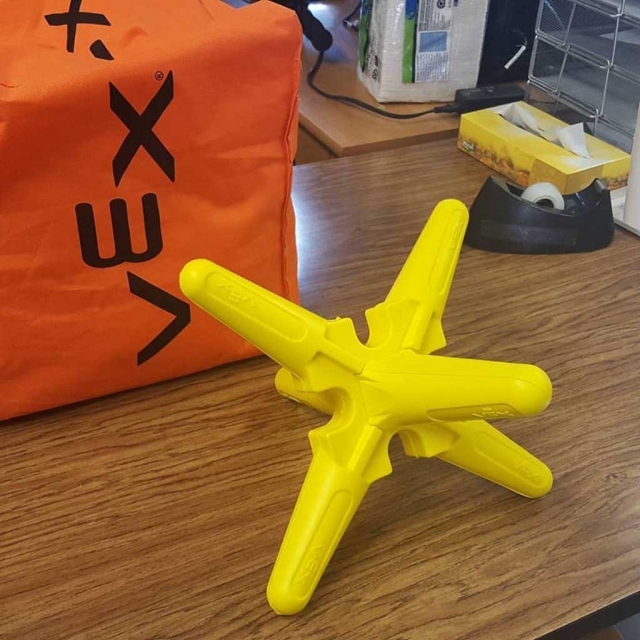 The FHS Robitics Team will be entering this year’s VEX Starstruck Competition. Competitions are nation-wide and on almost any given week during their season. 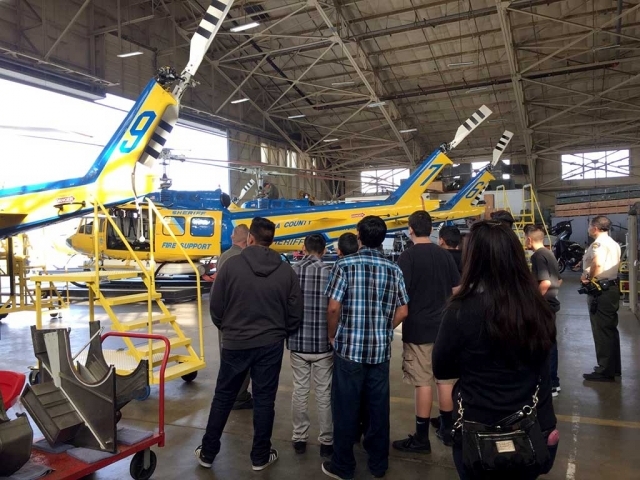 On Wednesday, December 14th, The Fillmore Middle School Public Safety Club took a field trip to The Ventura County Sherriff’s Office Air Unit in Camarillo, the Command Post in Ventura, and the Dispatch Center in Ventura. 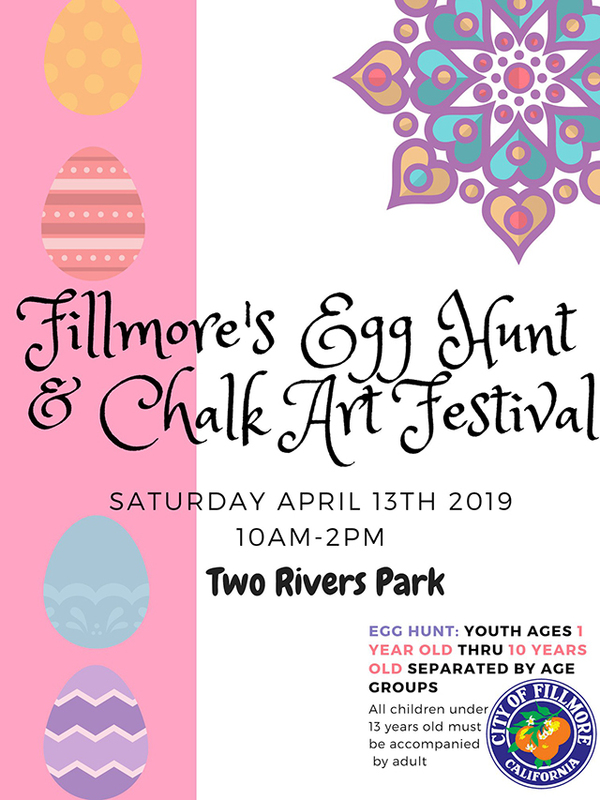 The Fillmore Middle School Public Safety Club is a pathway club that completes community service hours by assisting the Fillmore Police Explorer Post # 2958 with some of their events and activities in the communities of Fillmore and Piru. 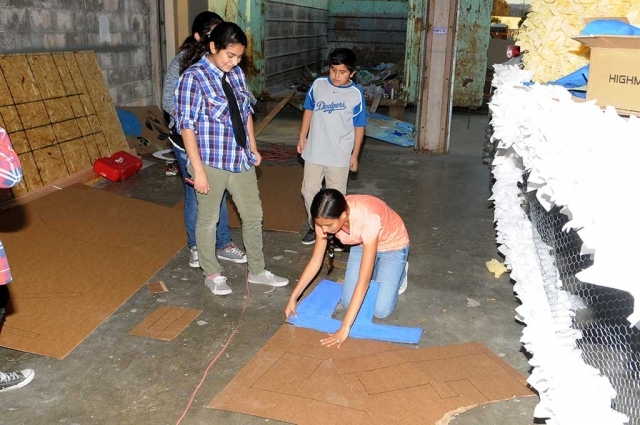 The club provides young men and women with experiences to prepare them to become responsible, caring adults. The Public Safety Club also provides students with training and education to develop general interest in public safety. 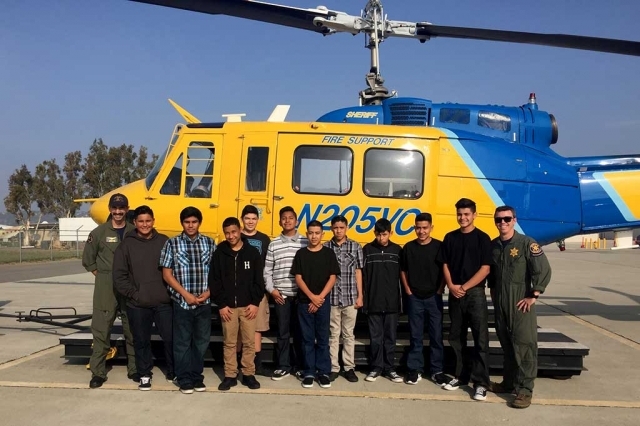 The Fillmore Middle School Public Safety Club would like to thank Deputy Rubalcava, Deputy Valenzuela, Cadet Espinoza, The Ventura County Sheriff’s Office Air Unit and the Dispatch Center for a great learning experience. 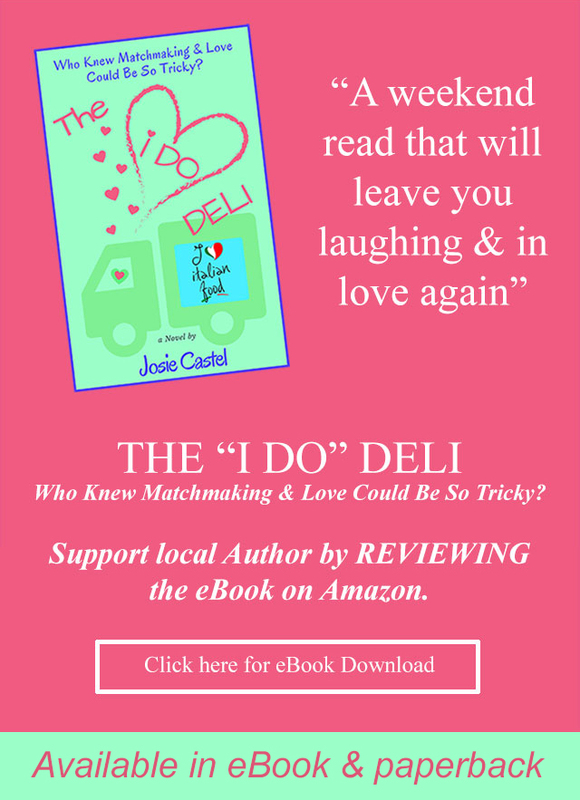 Story and Photos By Isela Larin. (above) ASB students standing by the truck with all the food collected for the Giving Food Drive. The Students of San Cayetano brought in over 500 cans of food and many other nonperishable food items for the hungry of Ventura County. The Spirit of Giving food drive ran from Nov. 29th through Dec. 15th. The top three classes to collect the most food were Mrs. Dollar - Kindergarten, Miss Fang - 2nd grade and Mr., White 3rd grade. 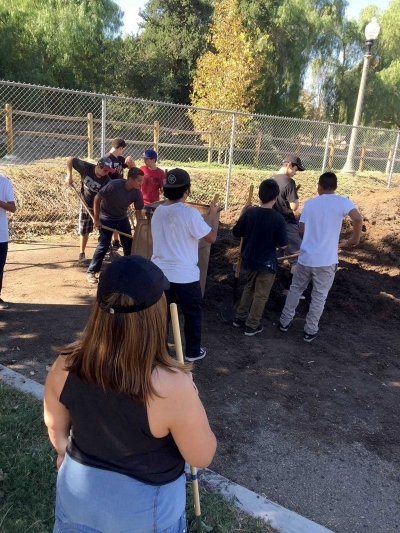 One of the goals at San Cayetano School is for our student to experience opportunities to give back to the community and do for others. We are very proud of our generous students and families of San Cayetano School. 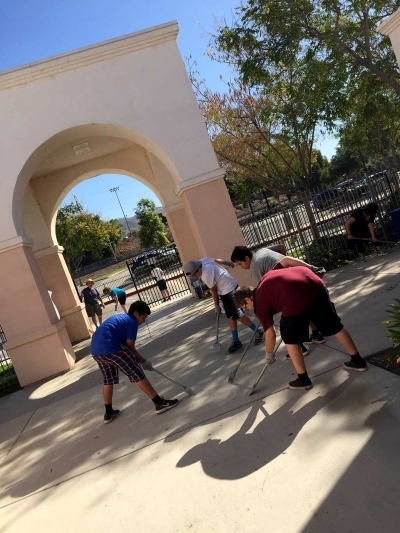 Story and Photo by Tricia Gradias, Principal, San Cayetano School. The Fillmore Unified School District would like to announce an additional information night that will be held for perspective families to discuss the State Funded Preschool Program. We will be sharing the benefits of a preschool experience, program locations, qualification criteria, and family fee. Please join us at 5:30 p.m. on Thursday December 15 at San Cayetano School Cafeteria located at 514 Mountain View St. Please contact the Child Development Office at 805-524-8312 or 805-524-8311 for more information. San Cayetano ASB Students are ready to kick off their “Spirit of Giving” Canned Food Drive. San Cayetano ASB students visited each class on Monday, November 28th to help kick off our Spirit of Giving Canned Food Drive. 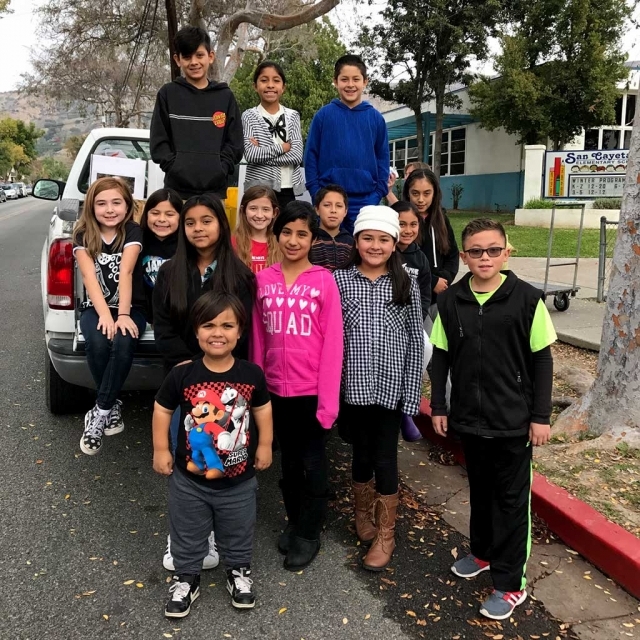 ASB student leaders spoke to the students about helping the hungry of Ventura County by donating canned foods and other nonperishable food items such as canned soups, canned or dried fruit, canned vegetables, dried beans, rice and cereal, peanut butter, Jelly, pasta and rice. Dole Packaged Foods is celebrating their 2017 Rose Parade® float, SPIRIT OF HAWAII by partnering with FOOD Share (a Feeding America partner) to sponsor a food drive to promote the SPIRIT OF GIVING. 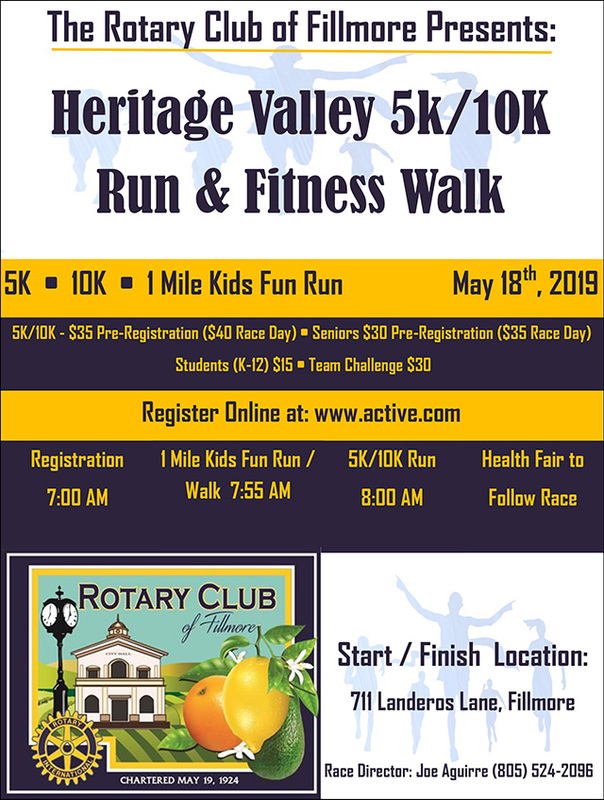 Over 300 schools throughout Ventura County are invited to participate. Each participating school will receive a brightly colored, FOOD Share labeled collection bin that will be placed in a designated location so food items* can be dropped off beginning November 28th. The food drive will conclude on December 14th. The six elementary schools that collect the most pounds of food during the food drive will each be awarded a Project Learning Garden from Dole Packaged Foods and the Captain Planet Foundation in partnership with FOOD Share. Families and community members may drop off donations at the San Cayetano Office. 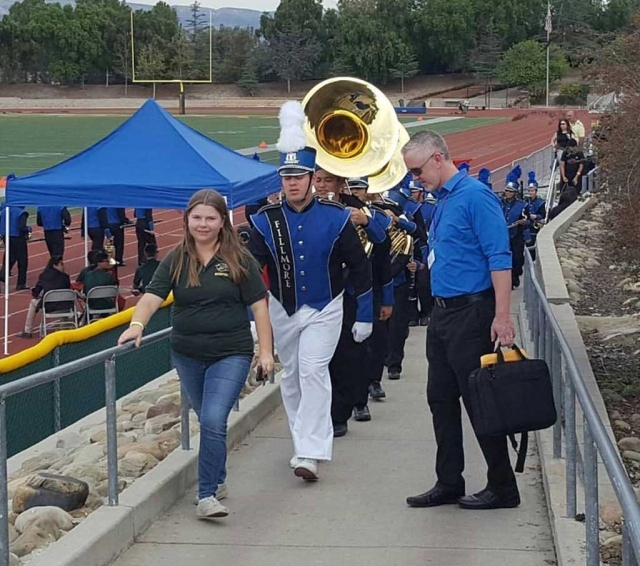 Fillmore High School Marching Band and Color Guard competed last Saturday in both Moorpark and Oxnard. They received 2nd place in their division at the Moorpark competition and then went on to win 1st place in their division in the Oxnard competition . Job well done band!! A big thank you to Mr. Godfrey, Jerry , parent and student helpers as well as the attendance and support of FHS principal Mr. Ito. Principal, Tom Ito of Fillmore High School announced today that Luke Myers has been name a Commended Student in the 2017 National Merit Scholarship Program. About 34,000 Commended Students throughout the nation are being recognized for the exceptional academic promise. Although they will not continue in the 2017 competition for National Merit Scholarship Merit Scholarship awards, Commended Students placed among the top five percent of more than 1.6 million students who entered the 2017 competition by taking the 2015 Preliminary SAT/National Merit Scholarship Qualifying Tests (PSAT/NMSQT). “The young men and women being named Commended Students have demonstrated outstanding potential for academic success,” commented a spokesperson for NMSC. “These students represent a valuable national resource; recognizing their accomplishments, as well as the key role their schools play in their academic development, is vital to the advancement of educational excellence in our nation. We hope that this recognition will help broaden their educational opportunities and encourage them as they continue their pursuit of academic success. 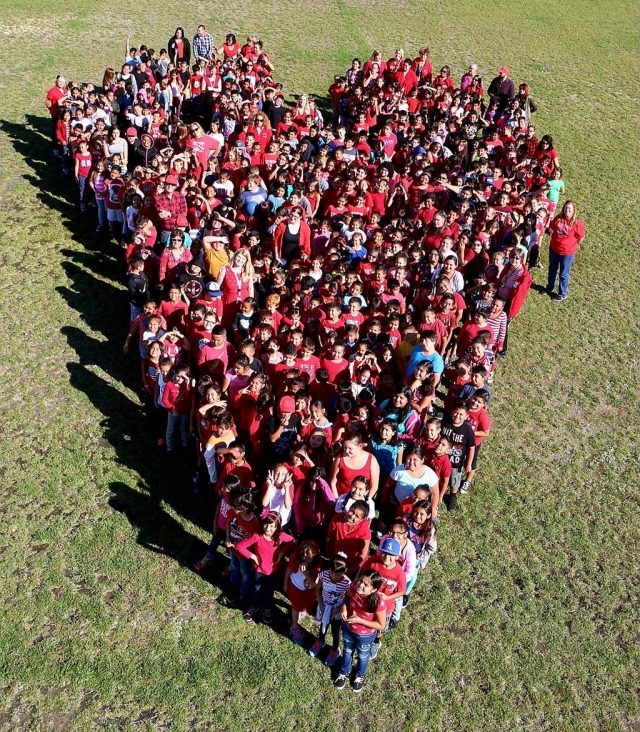 Rio Mesa School is celebrating Red Ribbon Week all the students and teachers form together a giant heart. SAN FRANCISCO – Attorney General Kamala D. Harris today released Ready for School: Recommendations for the Ed Tech Industry to Protect the Privacy of Student Data, a report which outlines best practices for the education technology industry (“Ed Tech”) to ensure that student privacy is respected, protected, and prioritized as the education technology industry brings innovation into our schools. The recommendations cover the collection and use of student information acquired through educational technology companies’ systems. In developing the report, the Attorney General’s Privacy Enforcement and Protection Unit consulted with Ed Tech providers, educators, privacy advocates, members of the business community, and consumer advocates. Ed Tech includes administrative management systems, such as cloud services that store student data; instructional support, such as testing and assessment; and content, including curriculum and resources such as websites and mobile apps. Many companies provide online services to aid classroom teaching but they require students to create accounts that capture a wide range of students’ data and personal information. In some instances, companies are mining data from schoolchildren beyond what is necessary for their education. The data on students collected and stored by Ed Tech can be very sensitive, including medical histories, social and emotional assessments, child welfare or juvenile justice system involvement, progress reports, and test results. Ed Tech companies also often collect new types of data, like a student’s location and the type of device being used, that generally fall outside the scope of longstanding federal laws protecting the privacy of students and minors. In 2014, parents and policymakers in California worked together to enact two student privacy laws in response to growing concerns about privacy risks and the gaps in existing law. One of the new laws (AB 1584, Buchanan) applies to local educational agencies (such as school districts and charter schools). It addresses a lack of appropriate controls over student data in the hands of third parties, particularly cloud storage providers, by requiring specific terms to be included in contracts for services and software that store or collect student data. The other law (SB 1177, Steinberg) is the Student Online Personal Information Privacy Act (SOPIPA), which imposes obligations on the companies that provide Ed Tech services. To help ensure the efficacy of these laws, this report was developed to chart a high road of best practices aimed at protecting student privacy. The report’s recommendations focus on: 1) minimizing data collection and retention to include only the student information necessary; 2) keeping the use of data strictly educational; 3) contractually requiring service providers who receive student information not to disclose it or sell it; 4) instituting policies that enable parents and legal guardians to fully understand the student data collected and maintained; 5) implementing reasonable security measures to protect data; and 6) ensuring transparency by providing meaningful privacy policies. In February of this year, Attorney General Harris released a data breach report detailing the nature of reported breaches in the last four years, accompanied by recommendations for business and lawmakers including pointing to standards regarding “reasonable security” for protecting personally identifiable information. The office recently conducted a set of workshops for small businesses in conjunction with security experts from the Center for Internet Security. Attorney General Kamala Harris developed the Privacy Enforcement and Protection Unit with the mission of protecting the inalienable right to privacy conferred by the California Constitution. The Privacy Unit enforces state and federal privacy laws and develops programs to educate individuals, businesses and organizations on privacy obligations, rights, and best practices. The publication is available online at https://oag.ca.gov/sites/all/files/agweb/pdfs/cybersecurity/ready-for-sc...? Attorney General Kamala D. Harris today issued the fourth annual statewide report on elementary school truancy and chronic absenteeism in California, In School + On Track 2016. The report, part of the work of the Department’s Bureau of Children’s Justice, finds that an estimated 210,000 K-5 students in California missed 10% of the school year in 2015-2016, making up 7.3% of elementary students in the state. The report also confirms earlier research on the disproportionately high rates of absenteeism among African American, Native American, and Pacific Islander elementary school students, special education students, and foster and homeless youth. The report does highlight that significant progress is being made, with school districts increasingly taking action to ensure children are in school, on time, every day. Improving school attendance has long been a centerpiece of Attorney General Harris’ public service. As District Attorney of San Francisco, Attorney General Harris first drew the connection between chronic absenteeism, third grade reading levels, dropping out of school, and future involvement in the criminal justice system (as a perpetrator or victim of crime). In the past decade, she has brought this issue to the forefront of state and national conversations about how to keep our communities safe and develop a thriving workforce. Recently, the federal Department of Education launched Every Student, Every Day: A National Initiative to Address and Eliminate Chronic Absenteeism, which is modeled on Attorney General Harris’ longstanding work on this effort. Drawing from four years of longitudinal data—a sample of almost half a million kindergarten to 5th grade students from nearly 200 school districts—In School + on Track 2016 includes the most comprehensive analysis to-date on the high rates of absenteeism among California’s elementary school students. The report finds that California continues to face an attendance crisis, with an estimated 210,000 K-5 students missing 10% of the 2015-16 school year, and that this crisis disproportionately affects African American, low-income, special education, and highly mobile students. School suspensions also severely exacerbate the attendance crisis and have an inordinate impact on boys, low-income students, and students with special needs. In fact, 55% of students in this study who had more than one suspension were also chronically absent. Low-income students accounted for 82% of all suspensions and 30% of all suspensions involved students receiving special education services. Further, boys were suspended at three times the rate of girls, and foster children were suspended at two and a half times the rate of all other students. The report also finds that African American students, while making up just 5% of the elementary school student population, represent 22% of all suspensions. Early attendance patterns also have a significant impact on academic achievement. The data from this year’s report revealed that three-quarters of students who were chronically absent in kindergarten and first grade did not meet the California state standards in math and English language arts in the third grade. •	99% of districts surveyed for this study reported that they have implemented or plan to implement policies and programs to improve elementary school attendance this year. •	In the 2012-13 school year, just over half of school districts surveyed said that they tracked student attendance data longitudinally (over time). This year, 85% of districts reported that they track attendance longitudinally, allowing teachers and administrators to understand individual student attendance patterns, craft targeted interventions, and evaluate the success of those interventions. •	Since the 2013-14 school year, 163 school districts (34% of those surveyed) have changed their discipline policies so students do not miss as much school for suspensions, or have reduced their overall number of suspensions. In addition, the report highlights the progress being made at the state level in collecting and tracking student attendance. 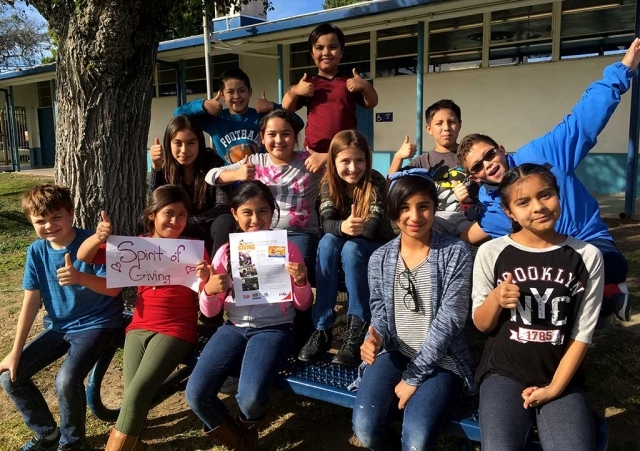 At the end of the 2016-2017 school year, all local education agencies in California will for the first time be required to submit to the California Department of Education data on student absences, excused and unexcused, as well as out-of-school suspensions as required by the federal Every Student Succeeds Act (ESSA). Chronic absence rates will also become part of the state’s new accountability system. Attorney General Harris’ 2013 In School + On Track (https://oag.ca.gov/truancy/2013) report contained the first statewide statistics on California’s elementary school truancy crisis and directly linked public education and public safety. The 2014 In School + On Track report (https://oag.ca.gov/truancy/2014) released updated data and looked specifically at gaps in state infrastructure for collecting attendance information and disparities in student attendance and discipline by race, income, and other subgroups such as foster youth. In School + On Track 2015 (https://oag.ca.gov/truancy/2015) allowed for an in-depth look at chronic absence rates by gender and at suspension rates across subgroups, revealing that absence rates tend to vary more by race than by gender, boys have significantly higher suspension rates than girls, and African American boys in particular have the highest elementary school suspension rates. As District Attorney of San Francisco, Attorney General Harris started a citywide elementary school truancy initiative in 2006. In the course of investigating factors contributing to the city’s violent crime rate, she found that 94% of San Francisco homicide victims under age 25 were high school dropouts. Then-District Attorney Harris formed a partnership with the school district to inform parents about their legal duty to ensure that their children attended school, provide parents of chronically truant students with wrap-around services and school-based mediation, and prosecute parents in the most severe cases where other interventions did not work. The initiative also served as a model for SB 1317 (Leno), which defined "chronic truancy" for the first time under state law and established the initiative's model of combining meaningul services with smart sanctions in the California Penal Code. The bill was sponsored by then-District Attorney Harris and enacted into law in 2010. 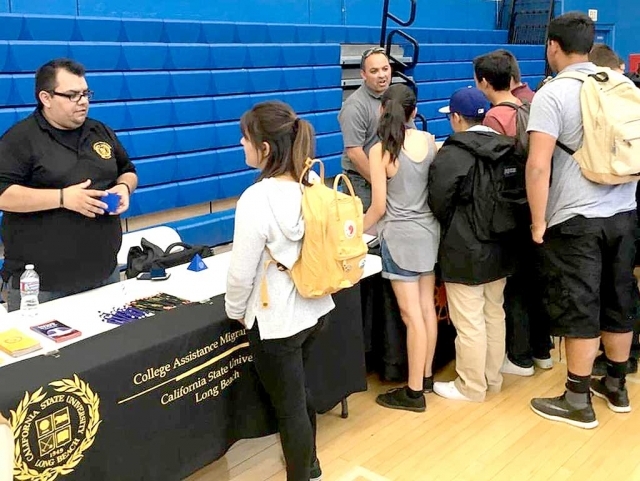 Last week was Higher Education Week at Fillmore High School. Class of 2017 and 2018 attended a Higher Education College Day presentation at the High School Gym. Fillmore High School was complimented by various reps on their behavior and inquisitive nature. CSU and UC reps from as far as Syracuse were in attendance along with FIDM and various other Vocational Schools. Ventura, CA - In honor of Ventura College Veteran students, the Ventura College Veterans Resource Center and Ventura College Foundation invite the campus community as well as Veteran students and their families to its Third Annual Veterans Day Celebration and BBQ from 11:00 a.m.-1:00 p.m. at the Ventura College Veterans Resource Center, 4667 Telegraph Rd, Ventura, Nov. 10. The event is free. More than 150 people are expected to attend. The Veterans Day Celebration, sponsored again this year by California Resources Corporation (CRC), begins with a short program and remarks from the VCCCD Chancellor, the Ventura College Veterans Program Advisor, a Veteran scholarship recipient, CRC and more. 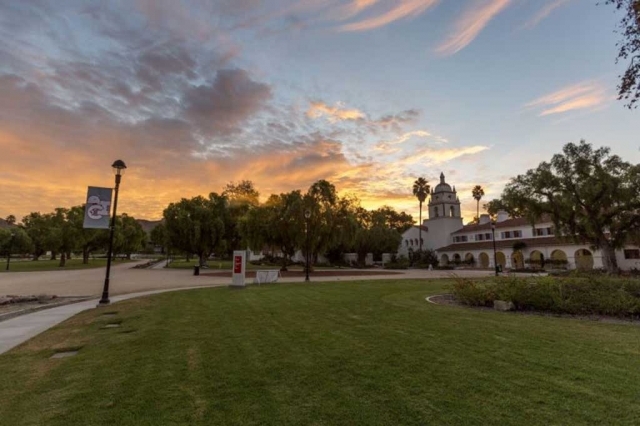 Established in 1983, the Ventura College Foundation provides financial support to the students and the programs of Ventura College to facilitate student success and grow the impact and legacy of Ventura College as a vital community asset. The Foundation also hosts the Ventura College Foundation Marketplace, an outdoor shopping experience held every weekend on the Ventura College campus east parking lot. 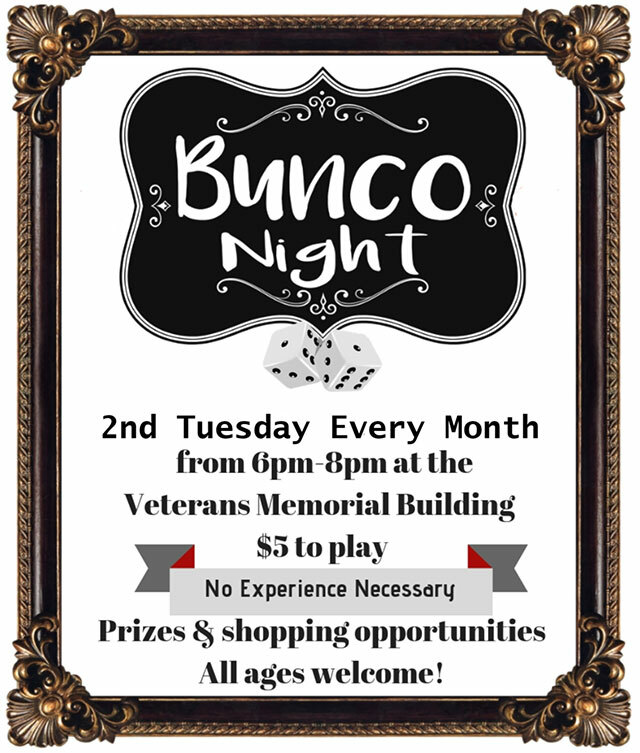 For more information, contact Norbert Tan at (805) 289-6160 or ntan@vcccd.edu. Also visit www.venturacollege.edu/foundation, and the Foundation on Facebook and Twitter (@VC_Foundation). The Ventura County Community College District Board of Trustees voted unanimously during the October 11 Board of Trustees meeting to enter into a purchase and sale agreement for the 38,893 square feet office building located at 761 East Daily Drive, Camarillo, CA, for the relocation of the District Administrative Center. The building is situated on a 20-acre professional office zoned and master-planned seven building site. VCCCD Chancellor Bernard Luskin and Vice Chancellor Business Services David El Fattal negotiated the purchase price of $7 million. 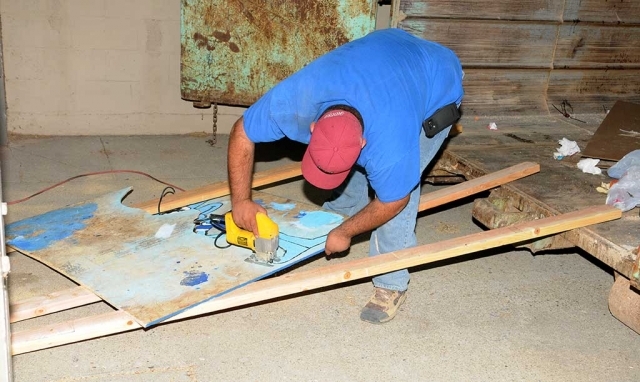 Approximately $1 million more will be expended for closing costs, appraisal and inspections, interior building renovation and improvements, furniture and equipment, and signage and moving costs. 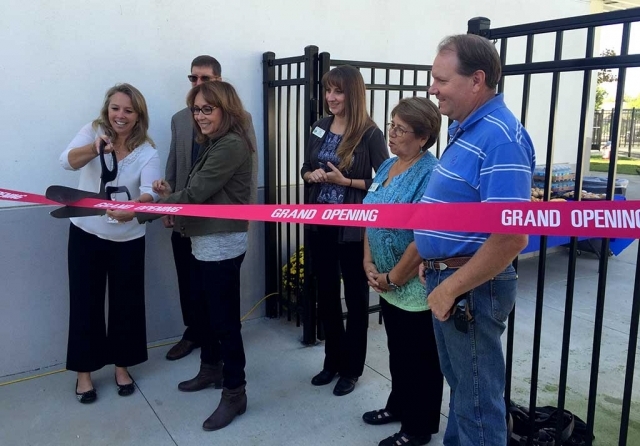 The facility is centrally located in Camarillo within the VCCCD service area and provides improved ease of access for students, faculty, staff and community members. It also assures adequate office and storage space, training and conference rooms, a board room and sufficient parking. In addition, there are long-term lease agreements with four tenants that will provide the District with approximately $272,000 in annual lease payments, along with the annual savings of $420,000 from the elimination of the District’s current monthly lease obligation. The District has leased its current offices of 24,000 square feet at 255 West Stanley Avenue, Ventura, CA, from the Ventura Unified School District since 2006. The current lease agreement ends on January 31, 2017. The Board of Trustees also voted to extend the lease agreement through April 2017, at which time the district administrative and support center is presently scheduled to relocate. Escrow is anticipated to open immediately with a $150,000 deposit. Close of escrow is expected to occur on or near November 10, 2016, at which time interior renovations should begin. 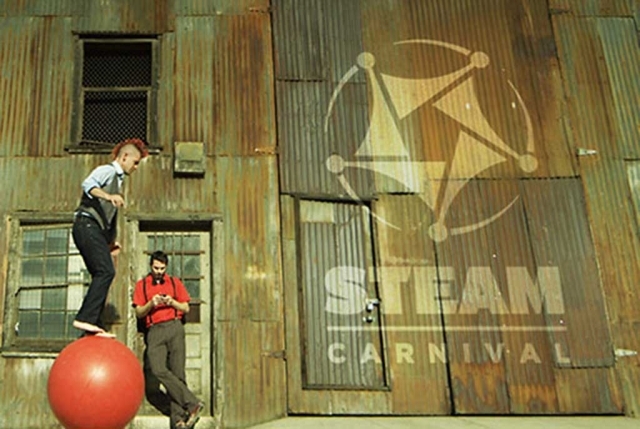 High tech hijinks paired with old time carnival tricks will underscore how much fun a science, technology, engineering, math (STEM) career can be. 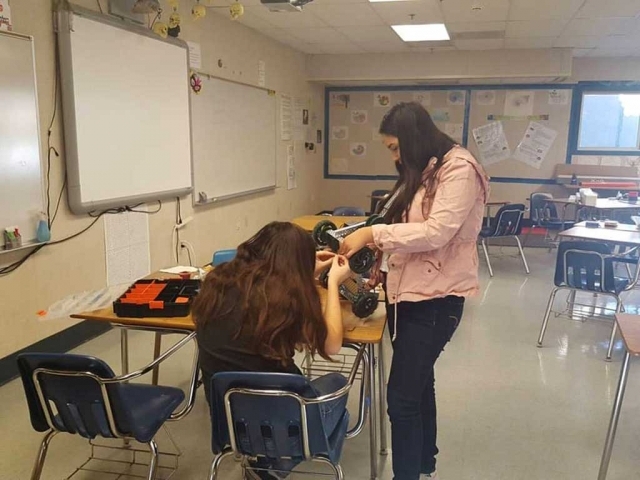 The inaugural “STEM-tastic!” event aimed at helping the community promote STEM learning in Ventura County will take place Friday, Oct. 21 from 4 to 6:30 p.m. at the Lundring Events Center on the California Lutheran University Campus at 60 W. Olsen Dr. in Thousand Oaks. The public is invited to the presentation, which will include speakers from area universities, PK-12 education, businesses, non-profits and others who will speak about ways to promote and enhance STEM education from pre-school through the topmost rung of higher education. “We will highlight excellent STEM programs happening in our community,” said Phil, Hampton, Ph.D., Director of the Ventura County STEM network (VC STEM) and Professor of Chemistry at CSU Channel Islands (CI). CI is leading VC STEM as an initiative of the P-20 Council. The P-20 Council (VC P-20) is a group of decision makers from education, business, government, community and parent groups who are dedicated to strengthening education in Ventura County. Hampton says a highlight of the event with be the introduction of a new self-assessment called a VC STEM 3-D: Discover – Dream - Design tool. “Two Bit Circus” is a cross between a think tank and an incubator where inventors, intellectuals, builders and other colorful characters create presentations to entertain and inspire STEM learning for all audiences. The innovative business fuses the whimsy of a turn-of-the-century carnival with the magic of 21st Century technology to demonstrate just how imaginative STEM learning can be. Bushnell and Gradman use everything from lasers to robots to carnival stunts to entertain their audiences. Gradman, who has a degree in computer science, also has a colorful history as a circus performer and a professional whistler. 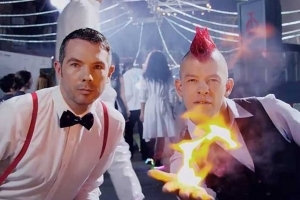 Gradman co-founded the start-up with engineer Brent Bushnell, who called the company “a big band of nerds” during a recent TED talk. CI President Erika D. Beck and California Lutheran University President Chris Kimball will welcome the audience, after which guests will hear from Hampton, Ventura County Superintendent of Schools Stan Mantooth and representatives from Oxnard College, among other presenters. STEM-tastic! is the annual recognition ceremony for the VC STEM Network, which is a leadership hub for regional companies, universities, government agencies, parks, schools, museums and a host of other local organizations working together to improve educational outcomes in STEM for all students throughout Ventura County. CI began accepting applications Oct. 1 with the deadline for admissions at midnight Nov. 30. Those who get their applications in early could get a decision as soon as November. Some students wishing to transfer from Ventura College to CI lost no time getting their applications in. 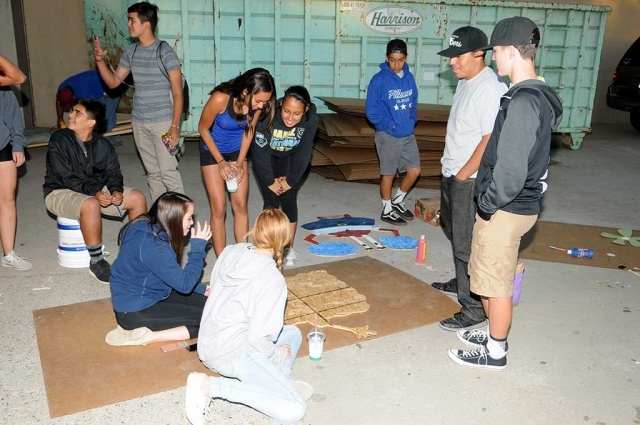 Every seat was taken at a Ventura College Transfer Workshop held Oct. 4 on the Ventura campus. David Oros, 21, of Oxnard, is getting his application in early because he wants to attend CI as a Math major. CI experiences an increase in student applications every year, with fall of 2017 applications expected to go above 10,000. Admissions officials encourage applicants to apply to more than one campus to increase the likelihood of admission. All 23 CSU campuses began accepting applications for the fall 2017 term on Oct. 1. 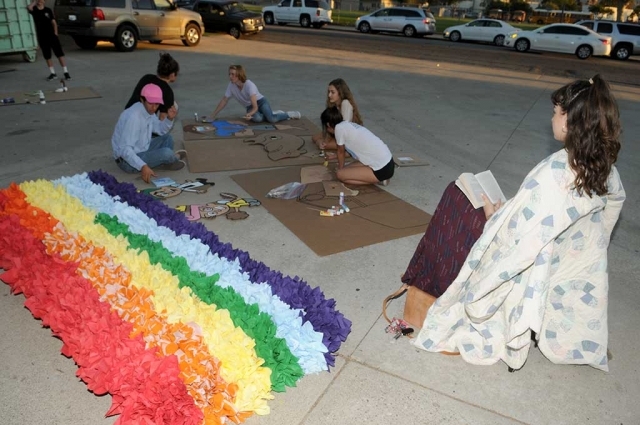 That’s exactly what Ventura College student Ellie Mora, 20, plans to do. The Ventura student wants to apply to CI’s Business program but also plans to apply to CSU Northridge, where she would pursue Accounting. Prospective fall 2017 students can scroll through the comprehensive degree database on the CSU Mentor website to learn about all of the undergraduate and graduate degrees offered at each campus, including CI. Applicants can also learn about the campus community, student housing and campus life in general. After applying to CI and/or any other CSU, visit the financial aid website to apply for financial aid or learn more about financial aid options. About 80 percent of CI undergraduates receive financial aid. More than half of the undergraduates across the 23 CSU campuses receive enough financial aid to cover the full cost of their tuition. For more information about CI and the admissions process, visit www.csuci.edu/admissions. Pictured: Dr. Adrian Palazuelos, Holly Harvan, Program Director – Child Development, FUSD Board Clerk Sean Morris, FUSD Board President Virginia de la Piedra, FUSD Board Member Kelli Couse, FUSD Board Member Lucy Rangel, and FUSD Board Vice President Scott Beylik. Superintendent Adrian Palazuelos officially opens the Pre School class at Mountain Vista Elementary School. Pre School classrooms opened at four Fillmore Unified School District schools this week: Mountain Vista Elementary School, Rio Vista Elementary School, Piru Elementary School, and Sierra High School. 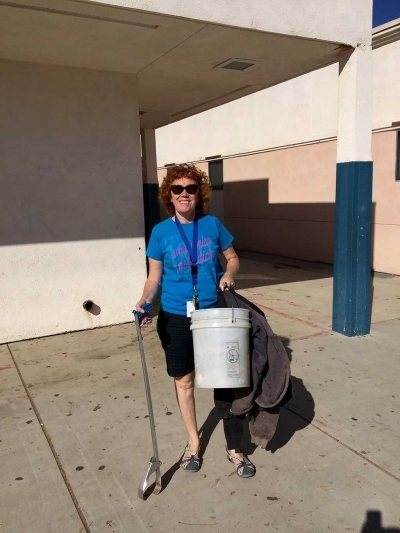 On Saturday October 1st, from 9am – 12pm Fillmore Middle School hosted a Community Service – School Beautification Day. 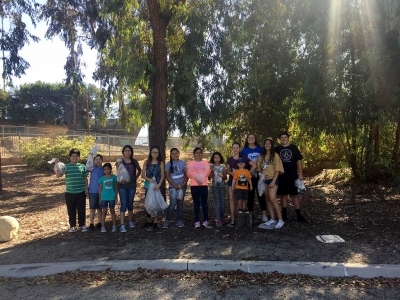 Over 100 students, parents and staff gathered to make School Beautification Day a success. 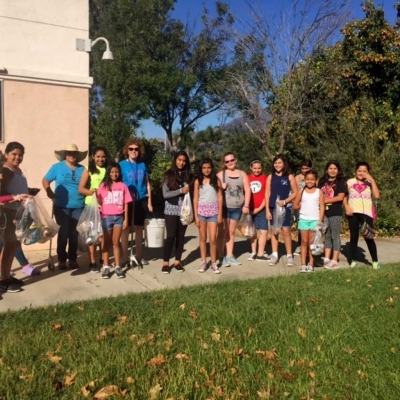 On October 1, 2016, Fillmore Middle School held a fall community service and school beautification day. The event, which ran from 9:00 am – 12:00 pm, was open to all students, parents and staff. Over 115 students, 20 parents and 10 staff members participated in the event. 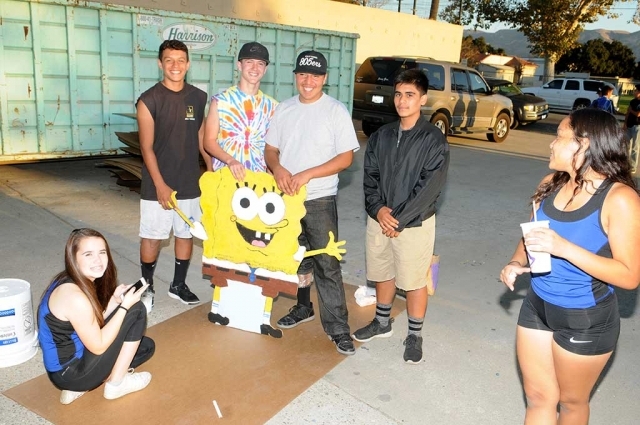 At the end of the event all participants were served a pizza lunch complements of the Fillmore Middle School ASB. 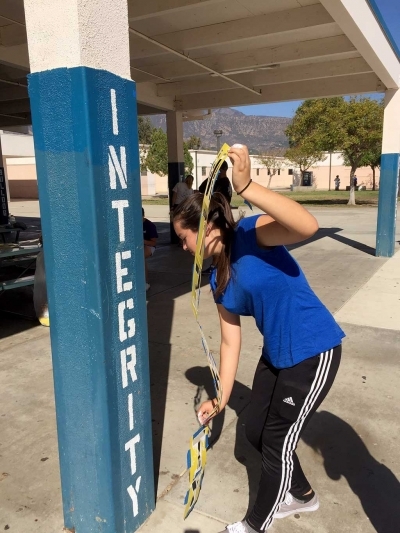 Several projects were highlighted in the event which included the spreading of mulch into all of the landscape areas of the school, the aerating and reseeding of the quad grass areas, the painting of motivational words in the pavilion (“Integrity”, “Strive to be your best”, “Respect”, etc. ), washing of windows, sweeping, raking, litter pick up and gum scraping. The Fillmore Middle School AVID (Advancement Via Individual Determination) teachers strongly encouraged their students to attend, so that students would be able to begin accumulating community service hours, which help students when they apply to colleges and for scholarships. 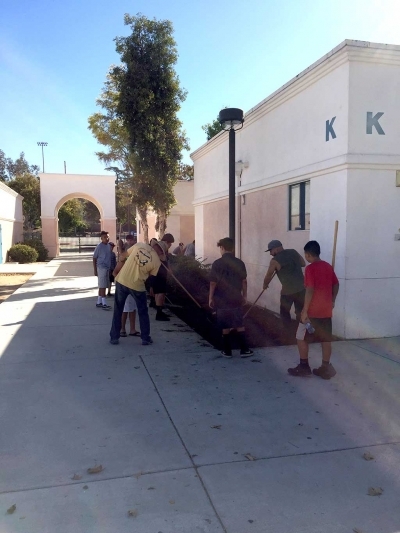 The students, parents and staff worked very hard and at the end of the morning Fillmore Middle School looked better than ever. It was definitely a pride building activity for the school! Fillmore Middle School students and staff would like to thank Gama Aguilar for arranging for the mulch, Javier Magana for gathering the tools for the day, Bill Dewey of the Fillmore Lions Club for providing the gum scraping tools and expertise, Deputy Leo Vasquez and the Explores, and all of the parents who came to help out. Cutting the Grand Opening ribbon with Ms. De La Piedra is the new Preschool Director Holly Harvan. 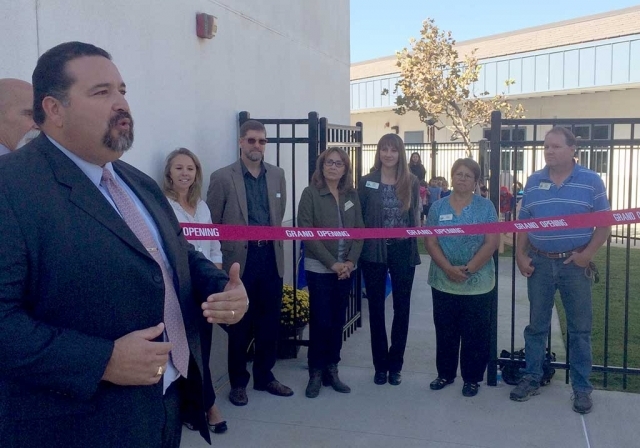 Fillmore, CA – The first ever Fillmore Unified School District preschool program is slated to open with a ribbon-cutting kickoff at Mountain Vista Elementary School on Wednesday October 5 at 10 a.m. Funded by the $2.6 million grant awarded to the District in the spring of 2016, the FUSD preschool program will welcome upwards of 100 preschool students into six separate classes at Piru Elementary, Mountain Vista, Rio Vista Elementary and Sierra High School, with two additional classes to open at San Cayetano Elementary and the Fillmore District Office by the end of this year. The program, the first of its kind ever offered by the District, will provide full and partial-day services to families. Certain program fees may be subsidized through the grant depending on individual parent need and qualification factors. 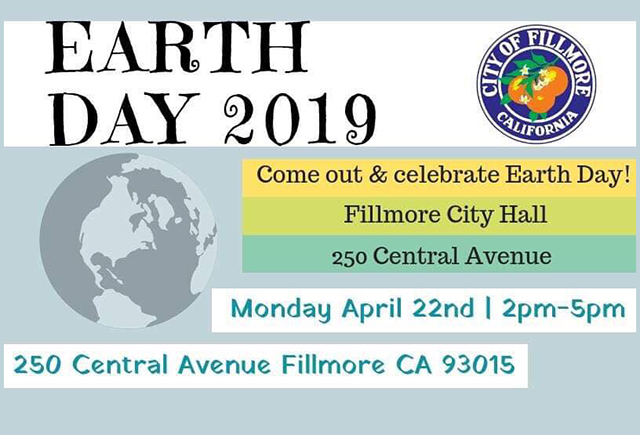 Contact Child Development Director Holly Harvan at hharvan@fillmoreusd.org for questions or more information.